Here's a quick overview of the Schedules page on the mobile app. 1. View: Tap the 'Calendar' icon from the nav bar. 2. Sort: You will then be able to see the list of employees scheduled for any given day. 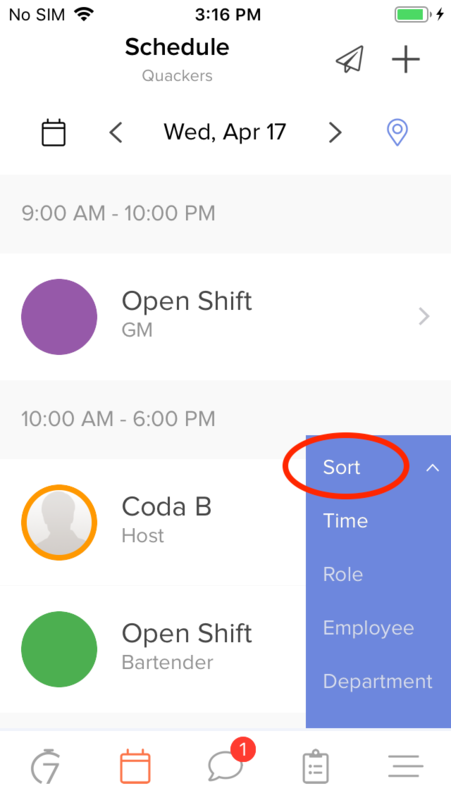 By tapping 'Sort', you can view the Schedule in different ways: by Role, Time, Employee or Department. 3. 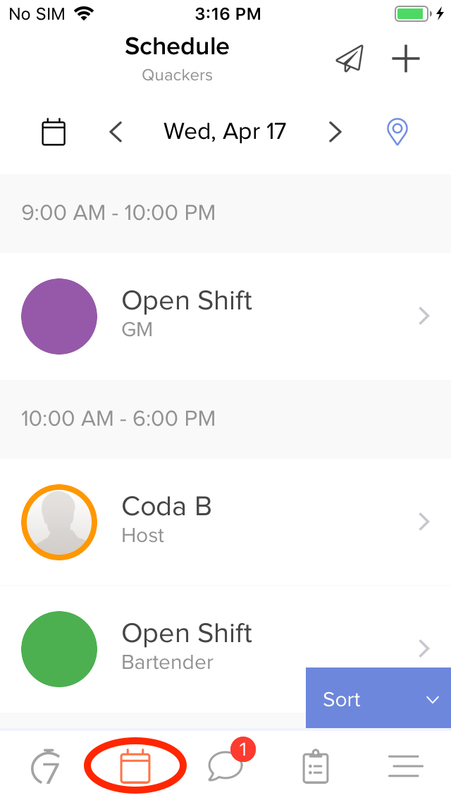 Add shifts: To add shifts, tap the '+' button at the top right. 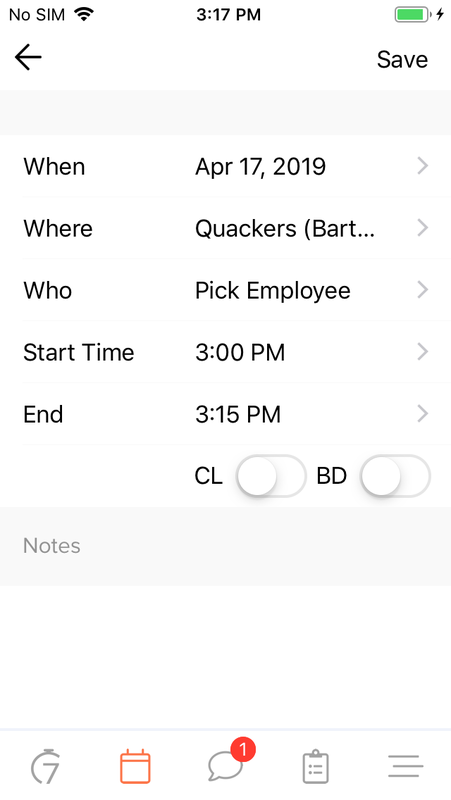 You'll then be able to specify the shift details, including the Station for which the employee needs to be assigned a shift. * NOTE: Learn more about creating Stations on the web app here: Stations (Web), and about how they appear to employees on the mobile app here: Stations (Mobile). B) Publish later (which allows you to add more shifts before notifying staff). 4. Publish: When you're ready to publish the full schedule, tap on the publish button at the top right. 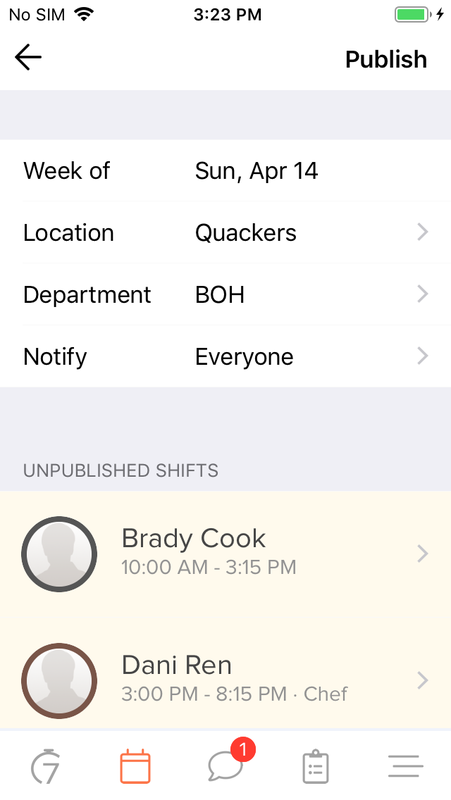 You'll be directed to the Publish screen that outlines all unpublished shifts. Select who you want to notify and tap on 'Publish' when you're ready.